Features a calming and disinfecting effect. 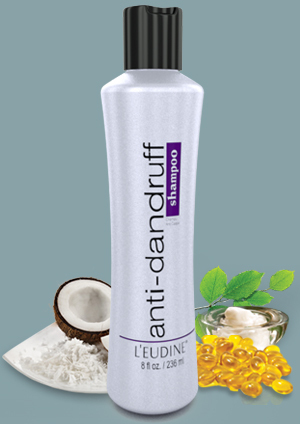 Combats the fungus that causes dandruff and itching of the scalp. Cares for and hydrates the skin of the scalp, promoting healthy blood circulation. Formulated to combat the fungus that causes Dandruff, recommended for the relief of flacking and itching due to dandruff and to help prevent their recurrence. Apply an appropriate amount of Anti-Dandruff Shampoo, depending on length and thickness of hair, to wet hair and gently massage into a lather, rinse and repeat. Leave final application on hair for 2-3 minutes. Rinse thoroughly. For optimal results, use at least twice a week. Deja el cabello suave y brillante. Posee un efecto calmante y desinfectante. Cuida y humecta el cuero cabelludo, promoviendo la circulaci�n sangu�nea. Combate el P. Ovale (el hongo que provoca la caspa y el prurito en el cuero cabelludo). Especialmente indicado para cabellos grasos, recomendado para combatir el hongo de la caspa. Aplicar una cantidad apropiada de Anti-Dandruff Shampoo, dependiendo del largo y grosor del cabello, al cabello humedecido y masajear suavemente hasta formar una espuma densa y cremosa. Enjuagar y repetir. Dejar la �ltima aplicaci�n del producto en el cabello de 2 a 3 minutos. Enjuagar completamente. Para resultados �ptimos, usar por lo menos dos veces por semana. Hair is repaired, ultra-soft and shiny. Provides superior definition and high shine. Hair is left nurtured, ultra-smooth and shiny. 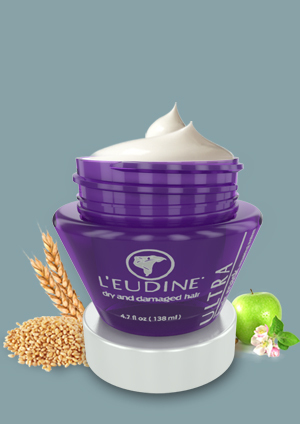 Ensures effective hydration, softness and volume control for a perfect finish without frizziness. Suitable for all hair types, recommended for very dry and curly hair, to eliminate frizz and smooth the hair. Recommended for styling / finishing hair with the blow dryer, curling or straightening iron. Ultra Anti-Frizz Hair Straightener is an excellent smoothing serum which builds internal strength and provides support to reinforce the hair�s structure. It�s exclusive moisture block system, delivers a unique complex to help provide natural softness and intense smoothing while at the same time, providing high shine and protecting hair from heat damage. As a result, the hair is left amazingly straight and frizz-free with touchable softness. Apply Ultra Anti-frizz Hair Straightener to damp hair. Do not rinse and style as desired. For optimal results, dry with a hair dryer, followed by a flat-iron. Deja el cabello suave, sedoso e incre�blemente brillante. Pule, protege, alisa y proporciona brillo extremo a todo tipo de cabello. Sus componentes ayudan a combatir el volumen dejando en su lugar un efecto liso sorprendente. Sella la humedad ayudando a prevenir el encrespado, puntas abiertas y fracturas/partiduras del cabello. Repele la humedad, acondiciona y rehidrata el cabello seco y da�ado sin a�adir peso, residuo o acumulaci�n del producto en el mismo. 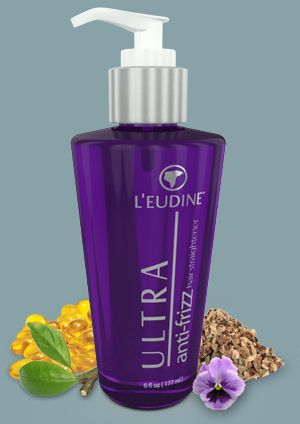 Es un excelente alisador para el cabello, que refuerza y reafirma su estructura desde la ra�z. Sus componentes ayudan a combatir el volumen dejando en su lugar un efecto liso sorprendente, realzando su brillo natural y protegi�ndolo del calor. El resultado es un cabello sano, sedoso y con ausencia de encrespado. Aplicar Ultra Anti-frizz Hair Straightener en el cabello h�medo. No enjuagar y arreglar como desee. Para resultados �ptimos, secar con un secador, seguido por una plancha. Hair is left soft, silky, and incredibly shiny. Seals in moisture helping prevent frizz and split ends. Polishes, protects, smoothes and provides a high shine to all types of hair. Repels moisture, conditions and re-hydrates dry and damaged hair without weighing down. Suitable for all hair types, recommended for very dry and curly hair, to eliminate frizz and smooth the hair, recommended for styling / finishing hair with the blow dryer, curling straightening iron. Dispense a small amount of Ultra Hair Polisher into the palm of the hands, rub hands together and distribute evenly throughout hair avoiding applying directly to roots. Tailor amount of product used to your hair�s length and thickness. Do not rinse out and style as desired. El cabello queda fijado, ultra-suave y brillante. Aporta una alta definici�n, limpieza y brillo al cabello. Asegura una hidrataci�n, suavidad y control del volumen para un perfecto acabado del cabello sin encrespamiento. Indicado para todo tipo de cabellos. Recomendable para cabellos muy rizados y secos. Elimina el encrespado y alisa el cabello. Recomendado para utilizar con herramientas de calor como el secador, rizador o alisador para estilizar el cabello. Dispensar una cantidad peque�a de Ultra Hair Polisher en la palma de la manos, frot�ndolas y aplicando uniformemente en el cabello, evitando aplicar directamente sobre la ra�z. La cantidad de producto a utilizar puede variar dependiendo del largo y del grosor del cabello. No enjuagar y arreglar como desee. Leaves hair soft, silky, and with high shine. 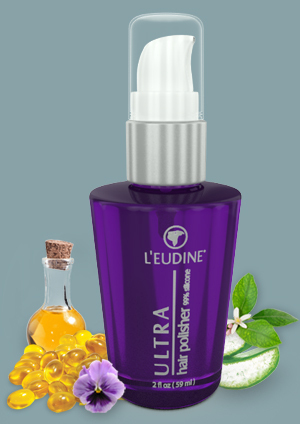 Repairs and revitalizes dry and damaged hair. Seals in moisture thus helping to prevent frizz and split ends. Penetrates the cuticle of the hair to provide intense hydration and nourishment. excellent for very curly, dry, chemically treated and over-processed hair. 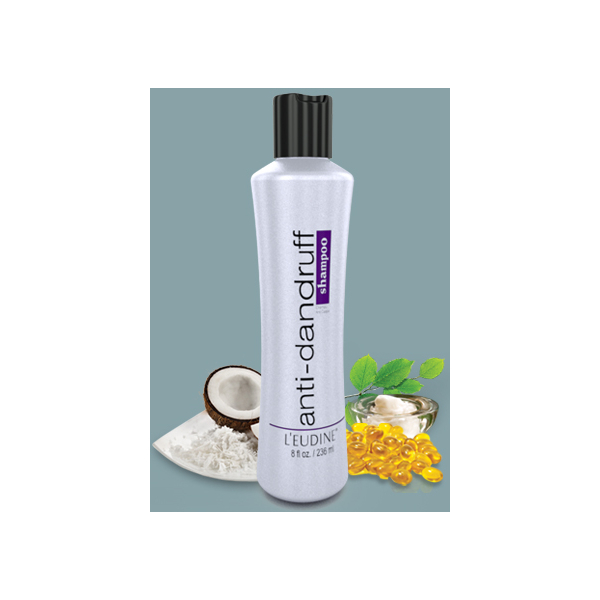 Recommended for use after exposure to sea or pool water as it will help restore the natural appearance of the hair. After shampooing, apply Ultra Hair Mask to damp hair and massage from roots to ends. Comb through hair with a wide tooth comb and leave on for 5 to 10 minutes. Rinse thoroughly and style as desired. Use once a week, or as often as needed, dependent on severity of hair damage. Repara y revitaliza el cabello seco y maltratado. 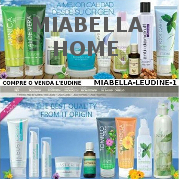 Penetra la cut�cula del cabello para proporcionar una intensa alimentaci�n e hidrataci�n. Especialmente indicado para cabellos muy rizados, secos, qu�micamente tratados y sobre procesados. Recomendado para utilizar luego de la exposici�n al agua de mar o la piscina, ayudando a restaurar la apariencia natural del cabello. Despu�s del champ�, aplicar ULTRA HAIR MASK sobre el cabello h�medo y masajear desde la ra�z hasta las puntas. Pasar un peine de dientes anchos y dejar en el cabello de 5 a 10 minutos. Enjuagar completamente y arreglar como desee. Usar una vez por semana o con m�s frecuencia, dependiendo de la severidad del da�o.